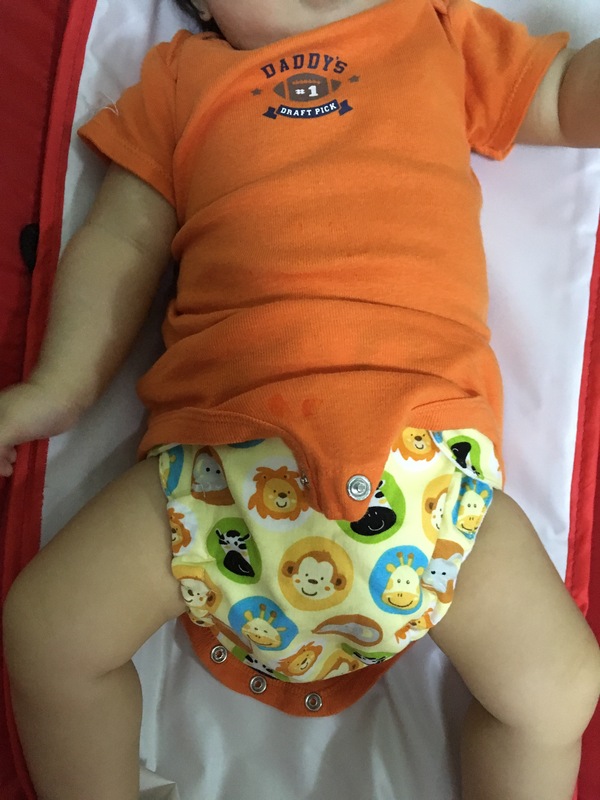 Before T was born, we bought a number of cloth diapers to try out simply because it’s more environmental friendly than disposables. However, we never managed to try it on T after she was born as she was way too tiny to fit in the cloth diapers which were too big and bulky! Today, after 5 months… T could finally fit in one. 10 minutes after wearing, T pooped in it! Ugh….it sure ain’t fun to clean up poop from a cloth diaper. It’s also quite thick and bulky which I think made her quite irritated especially in this hot weather. She is so used to wearing thin disposable diapers. Cloth diapers from Bamboolite, Adora and a couple of non branded ones. Bamboolite ones are the thickest and most pricey but supposedly most absorbent.